TechnicBRICKs: Book from Sariel, available for pre-order! After one and half year writing, the long waited Sariel's book sbout LEGO Technic, will become available this year (Fall 2012), as announced by himself today. 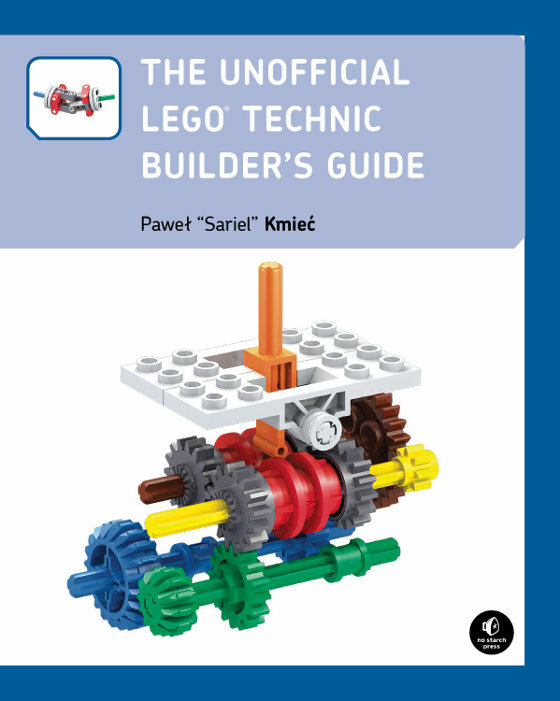 The book - The Unofficial LEGO® Technic Builder's Guide - is published by No Starch Press and focuses on explaining the theory and principles that rule the world of LEGO mechanisms, while providing plenty of practical examples. With over 300 pages printed in full color, showing more than 500 figures and 40 building instructions, the book should be helpful to any LEGO Technic enthusiast, regardless of his building skills. Visit nostarch.com/technicbuilder to learn more about this book, or read the full original announcement at Paul's website. Meanwhile and because you're probably eager to do it... the book is already available for pre-order worldwide from your favorite booksellers, including amazon.com and amazon.co.uk. The book will also be available as an ebook. Note that the No Starch Press webpage http://nostarch.com/technicbuilder.htm says that the book is now 256 pages (not 302 pages, like it was in an earlier draft).